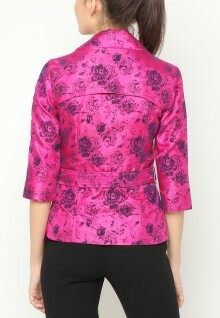 An evening jacket with a signature design detail to accentuate the face and neckline. Double breasted with included belt, but feel free to swap with your own. 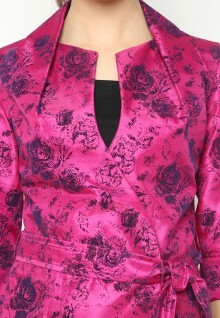 Taffeta with velvet flock, lightly constructed and fully lined.